I absolutely love pizza- it is one of my favorite foods. I also love grilling, so why not have both at the same time? It can be very easy to make your own pizza, and there are thousands of recipes to refer to. Now if you want to get serious, you can even make your own pizza crust. While I took the easier path and bought grilling flatbread for pizza at the supermarket, I still enjoyed selecting the items I wanted on my personal pizza. As seen from the Pinterest board below, there are many, many possibilities in creating your own original pizza. 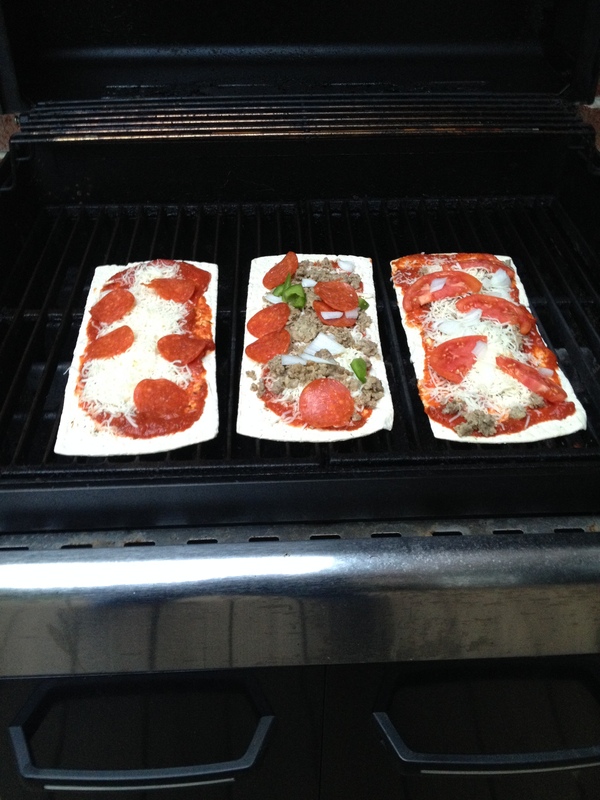 After building your pizza, grill over medium heat. It only takes a couple of minutes and you are ready to enjoy your creative meal.